Ranging from a few iconic R&B jams, Nicki Minaj verses, and a scene from Donald Glover’s Atlanta. Drake's monstrous double-sided album Scorpion is finally here. 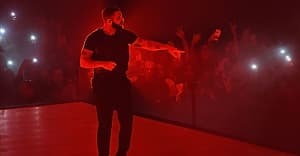 The project, which is executive produced by Drake's main cohorts Noah '40' Shebib and Oliver El-khatib, also features music from a wide range of producers, with help coming from the likes of T-Minus, Boi-1da, TrapMoneyBenny, DJ Premier, and more. A slew of samples are also spread across the album, including flips of Lauryn Hill, Mariah Carey, and Nicki Minaj. Also on the album, is a sample of a scene from an episode about Drake on Donald Glover's FX series Atlanta. Take a look at the samples on Scorpion below. 11. "Talk Up (Feat. JAY-Z)"